Filed to: dads wyd?Filed to: dads wyd? 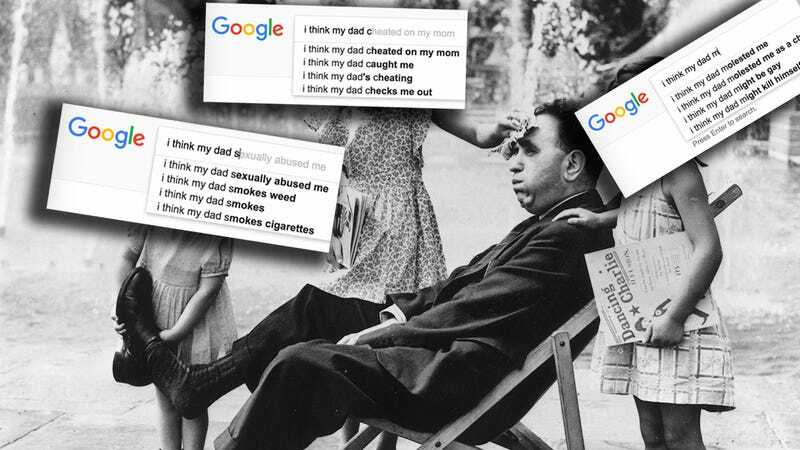 Google’s search predictions have us very concerned for dads. The company says it makes its search predictions based on “the terms you’re typing” and “what other people are searching for.” Google also considers your previous search history, but even in incognito mode (which would eliminate that variable) we can clearly see our nation of dads need some serious help. And for the love of god, moms, putting curses on your kids.